4.3.Approach III : Search from your admin dashboard. 7.How to create your very first trip? 18.3.How to change the layout of trips like in version 1.0.1 and earlier? 22.1.How to remove last vertical line from Itineraries? 22.2.How to display your site same as the plugin demo? 22.3.How to display the single trips in post/page using shortcode? 22.4.How to add comma between the trips price to separate the numbers? 22.5.How to add your local currency? 22.6.How to change display pattern of the price? 22.7.How to change default country in form field? The main purpose of preparing the user documentation is to provide guidance to set up the plugin in your website following some easy steps. This documentation even includes the description of the incredible features that the plugin includes. Further, if you have any query related to the plugin or require assistance then please contact us through our official support forum. We would also like to thank you very much for choosing our plugin. We truly appreciate and really hope that you’ll enjoy our plugin! WP Travel plugin is an easy to use and awesome plugin that you can use with any travel site. With WP travel you can simply add as many trips as you wish. Besides this plugin provides various kind of feature, setting which makes this plugin more attractive. The compatibility of the plugin is also one of the features. It can also be modified very easily through custom templates and filters. 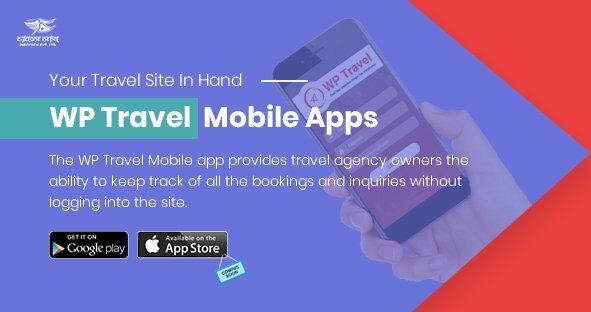 Not to forget, WP travel is becoming popular day by day due to its frequent update with amazing additional feature and the support from the development team. A simple walk-through of each feature of the plugin has been provided in detail. Under the WP Travel option there are 7 tabs and under the Tours option there are 6 tabs. This organized separation of the menus creates a easy and clean environment for you to create trips and assign the trips with the settings of your choice. Unzip the folder and Upload `wp-travel` folder to the `/wp- content/plugins/` directory. Select the Plugins menu, then Add New. You will see the search section as in the screenshot below. You can search the WP Travel plugin and download . Note: Always make sure you have the latest version of WP Travel Plugin installed and activated. After successfully installing the required WP Travel plugin, you need to activate your plugin. Follow given steps to activate WP Travel Plugin. Select the Appearance panel, then Plugins. You will see the WP Travel plugin on the list. Now the plugin will be activated thus making the Trips Menu appear on the dashboard. This is the sixth menu item that appears under WP Travel icon. The Setting under the Report section is used to manage the setting of the plugin. Under setting menu, you can find a different section which has multiple fields which are explained below. Under General Setting section, you will be able to see following fields. Currency: This enables you to enter the currency type as per your requirement. Google Map API Key: You have to enter the API key here to generate the map at location section. Cart Page: This option enables you to choose the page to use as cart page for trip bookings. Checkout Page: This option enables you to choose the page to use as checkout page for booking. This amazing new feature is added to the version 1.2.3 of the WP Travel. It represents a fully customizable mechanism that the user needs to go through to book the trips. To enable the checkout process you don’t need to add any sorts of the extra plugin. The feature is bundled within the plugin itself. After activating the version 1.2.3 of the wp travel for the checkout process, the first thing you need to do is assign the “WP Travel Cart” and “WP Travel Check out page” in option “Cart Page” and “Checkout Page” respectively by going to Admin Panel > Trips > Settings > General. Note: Upon installation of the WP Travel version 1.2.3, the plugin creates the pages “WP Travel Cart “and “WP Travel Check out” by default. But in case if the default pages are not working for you then you can create the pages by yourself from Admin panel > Pages > Add New by including the shortcode for checkout page and cart page. Note: If you have not enabled any of the payment options then upon clicking on Booking button you will be redirected to Booking form directly. The flow of the checkout process starts by clicking on big Red “ Book Now” button. Step 1: The workflow begins with clicking on “Book Now” button. After clicking on Book now button a table will appear again with the book now button. Step 2: Click on “Book now” button then you will reach the cart page. From here you will be able to adjust the no. of pax. After making the adjustment of pax, click on Proceed to Checkout. Step 3: Finally you will reach the checkout page where the booking form is available for booking the trips. From here you will be able to choose the different payment methods for final payment. The default payment is Standard PayPal. Standard PayPal: Available within the plugin. What if you don’t like to go through cart process? Well if you do not like to use the cart feature and simply want the previous layout then there is nothing to worry about. We have added the filter using which you can get the previous layout i.e. remove the cart feature. Please follow below given steps for this. Step 1: Create the child theme. Step 2: After successfully activating the child theme, in your child theme’s functions.php file add below-given code. This will restore your previous settings. Under the trips section, you will be able to see the following field. Hide related trips: This option will allow to hide/Show related trips in the single trip page. Enable Multiple Travelers: This is an exciting feature added to the WP Travel version(1.7.5) which allow you to enable/disable the filed to add the information for the multiple traveler in the checkout page. Trip Pricing options listing: This option allows you choose the option for listing the pricing according to the Pricing option(default) or by departure dates (Multiple dates).  List by Pricing Options (Default): If the user chooses this option then pricing of the trips will be listed displaying pricing name that the user has entered in multiple pricing option. List by fixed departure dates: If the user chooses this option then the pricing of the trips will be listed displaying the fixed departure dates that the user have chosen for that particular trip. This option will only work in case of “Fixed Departure date” but not for the trip duration. Note: Make sure you have assigned the added pricing option to the added date or else nothing will be displayed under the booking tab. Booking Email Subject: This option allows the user to enter the booking email subject. Booking Email Title: This option allows the user to enter the booking email Title. Booking Email Header Color: This option allows the user to choose the color of Booking Email Header. Email Content: This option includes the default template but you can adjust the formatting template yourself according to your requirement. Booking Client Email Subject: This option allows the user to enter the booking email subject. Payment Email Subject: This option allows the user to enter the booking email subject. Payment Email Title: This option allows the user to enter the booking email Title. Payment Email Header Color: This option allows the user to choose the color of Booking Email Header. Enquiry Email Subject: This option allows the user to enter the booking email subject. Enquiry Email Title: This option allows the user to enter the booking email Title. Enquiry Email Header Color: This option allows the user to choose the color of Booking Email Header. Enquiry Content: This option includes the default template but you can adjust the formatting template yourself according to your requirement. This is the new section that is added with the release of WP Travel version 1.1.2. Under Tabs section, you will be able to see the list of tabs that are displayed in the frontend of individual Trips as seen in the screenshot below. Under Payment section, you will be able to see different settings of the payment options that are available within the plugin as seen in the screenshot below. Partial Payment: If you want your customer to facilitate the partial payment then you can enable this option. Enabling this user will be able to make the partial payment of the package they have chosen. Minimum Payment amount: This option allows you to adjust minimum percent of the amount to pay while booking. Note: With the release of version 2.2.1 of WP Travel, Standard Paypal has been merged within the plugin so you do not have to install/ activate the standard PayPal plugin separately. The second section under the payment tab is standard paypal. WP Travel Standard PayPal was add-ons for WP Travel but due to lots of request form users to merge this in WP Travel core, we have added this addon in plugin core so that there will be no hassle for a payment gateway. Standard PayPal is a wonderful addition to the WP Travel Plugin. Integrating with PayPal offers your customer’s simple ways to pay for the booking that is being made also and in addition, you can view the payment stat made by users on the backend. Standard PayPal will undoubtedly enhance the WP Travel plugin. Enable PayPal: This option allows enable/disable the PayPal option on the frontend. PayPal Email: This field enables you to enter the email. Note: New form field added in Booking form for full payment mode or partial payment mode. To edit payment mode refer to Admin Side. Booking Works with the PayPal payment gateway. To enable PayPal as your payment processor first, you will need a PayPal account. If you do not already have one, you can sign up here: https://www.paypal.com/home. To enable the booking with payment options at the front end, at first you have to enable the option “Enable Paypal” by going to Admin panel > Trips > Settings > Payments. This is simply a booking made without the payment. After making the booking you get an email that includes you’re booking detail. Note: After making the booking you will get an email which includes the detail about your booking info. The Admin will be able to view the lists and the booking detail that is made by the clients. If required, the admin has the authority to change the booking detail made by the client as well. The third section under the payment tab is tax option. This is the brand new and amazing feature that is released with the version 1.2.2 of WP Travel. You can find the tax settings in the Tax Options section. Below we present all options step by step. Enable Tax for Trip Price: This option allows the user to enable/disable the tax for the trip price. Yes, I will enter trip prices inclusive of tax: The trips will include tax according to defined rate i.e the final price of the trip is shown including the trips. No, I will enter trip prices exclusive of tax: The trips will not include tax. During checkout, the prices will be increased by tax according to the defined rate. Tax Percentage: This option allows the user to enter the tax percent that they want to set for the trip price. The is a brand new and exciting feature released with the WP Travel version (1.3.2). With this new and fresh feature, the user will be able to add multiple trip facts/ information about the trips. How to enable Trip facts? Under Misc. Options section, you will be able to see the following field. Enable Trip Enquiry: This option allows you to enable/disable the trip enquiry. 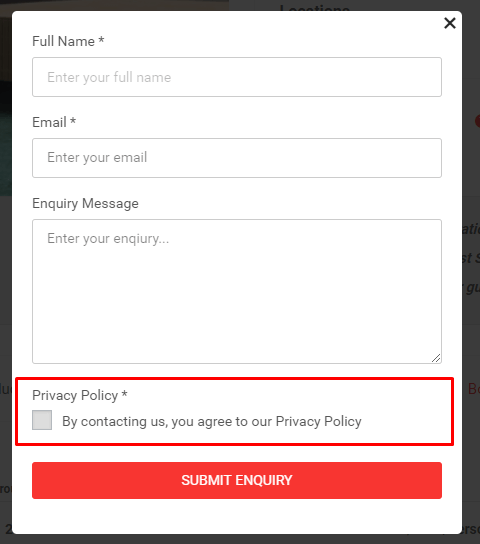 If you want to disable the feature then you can do so by deleting all the content inside the box of “GDPR Message“. Under debug Options section, you will be able to see the following field. This option is for the testing purpose. Test Mode: This option allows you to enable/disable the test mode. Test Email: You can enter the email here. System information displays all the information related to the system. You can find the system Information in Trips > Settings. It is helpful if you require the info about the system that is currently running. Note: You can send the information by downloading the file by clicking on the button “Export to CSV“. After clicking on the button you will get the excel file that includes the detail of your system. You can send thus received file in our official email address which will be provided to you through the forum. Now to create the trip of your choice go to Admin Panel > Trips > New Trip and begin entering the required content as per your wish. Furthermore, to help you and make you clear we have explained each and every field. After creating the trip, your trip will look like the below-given image in the single trip page. Includes/Excludes tab is the fourth tab that is seen in Add New section. Under Includes/ Excludes tab, you will find following option. Trip Includes: This field allows you to enter the trip that is included in the trip packages. Trip Exclude: This field allows you to enter the trip that is excluded from the trip package. Tab “Account Section” is the fourth tab under settings tab where you can reach by going to , Admin Panel > WP Travel > Setting > Account Settings which gives you the options to decide if you require login before booking, option to generate username from email automatically, generate password and enable/disable customer registration. If disabled the options at left as shown in above screenshot, you don’t require to log in for booking the trips. Enabling this option requires Customer login before booking. Enabling this option will enable the registration on My Account page. “My Account page” is by default created b the plugin itself. If you disable both of this option then you will get the link in your email that will lead you to the page from where you need to enter the username, password and email. If you enable both of this option then you will automatically get the username and password in your email so you just need to enter email only while creating the new account. Click the Log In button to get access to the user dashboard. If you forget your password, you can click on Forget Passoword to get new password? After clicking on “Forget Password” you will be redirected to the page where you have to enter the email and click on “RESET PASSWORD” to receive the email. Follow the on-screen instructions in the email to reset your password. Once you have successfully logged in, you will get access to WP Travel Dashboard. What if you don’t have the account?? To create the account enter the username, Email andPassword and then click on Register button. Finally after creating the account go to login dashboard and login. After successful login, you will reach the user dashboards where you will find five different menus. In this section, you will find the list of trips that you have booked using your account. Here the trips that you recently booked will be displayed at the top. Also, only five recent trips theta you book will be displayed. If you click on “Book some trips now” you will reach to the trip archive page where you find the lists of trips from where you can book your desired trips. “Detail” button will allow you to view the details of information that you have entered while booking the trip. This will display your address that you have entered through “Address tab”. Note: The data you have entered here will be automatically saved in the booking form at the checkout page if you are logged in. If you wish to change the password for your account then enable “Change password” option and fill up the password field and save the changes. From this tab you can log out from your dashboard. This feature helps you to see/list the booking that is made by the customer in the Admin Panel itself. If there is no any booking made then nothing will be displayed here. View All Booking: If you click on “View All Booking” button, you will be redirected to the booking list. View Booking Details: With the recent version of WP Travel Version 1.8.0 , you can view the booking details from Admin Panel as well. Draggable: If you do not like to display the booking widget in particular location then you can drag it somewhere else and display. Turn off the widget: If you don’t want to display the booking widget in the Admin Panel then you can turn it off by going to Admin Panel > Screen Options. “Coupons” tab is the second tab under WP Travel tab which is a great way to offer discounts and rewards to your customer so whether you are implementing a discount or a special offer use WP Travel Coupons to get a discount on the booked trips. Percentage or fixed amount off in the coupons are applied for the trips. To add the coupon please follow below given steps. Go to: WP Travel > Coupons. Create a new coupon by selecting Add Coupon. Or hover over an existing one to Edit. Coupon Status: This will show the current coupon status i.e. whether it is active or has expired. Coupon code: Code used by the customer to apply the coupon. Must be unique as it’s used as an identifier. Percentage discount – A percentage discount for the trips selected. Fixed discount – A fixed amount discount for the trips selected. Coupon Value: If you select fixed discount then add fix amount or if you select Percentage discount then enter the amount in percentage. Coupon Expiry Date: You can set the expiry date for each coupon code. 2. Restrictions: There are few restrictions that the coupon offers. Restrict Coupon to Trips: You can restrict the coupon to the trips you wish. Coupon Usage Limit: You even limit the no time of usage of the coupon. You can view the lists of coupon that you have added from WP Travel > Coupons. Coupon code: Displays the coupon codes corresponding to the coupons. Discount value: Displays the value that you have entered in coupon value filed. Max Uses: Display the no of time a coupon can be used. Usage Count: Display the no of times the coupon is being used. Expiration Date: Displays the expiration date of the coupon. Coupon Status: Displays the current status of the coupon. Note: If you try to create the coupon with same code then the plugin will let you publish the coupon but the coupon that was previously created will be applied if the code is used. If you wish to edit the existing coupon then you can go to particular coupon edit screen and edit as per your requirement. Basically, a taxonomy is a way to grouping things together. Similarly, with WP travel plugin user will be able to group the trips according to Trips Type, Destinations, Keywords, Activities. This is the third menu item that appears below Trips icon. The Trip Type section under the New Trip section in the dashboard menu lets you add new trip type on the list. It allows you to enter the trip type and the newly added trip type will be listed on the right-hand side of the page. You can add the trip type from the individual trip edit screen as well. This is the fourth menu item that appears below Trips icon. The Destinations section under the Trip Type section in the dashboard menu lets you add the new destination to the list. It allows you to add the destination and the newly added destination will be listed on the right-hand side of the page. You can add the destination from the location tab of individual trips as well. The Keyword section under the Destinations section in the dashboard menu lets you add new Keyword to the list. 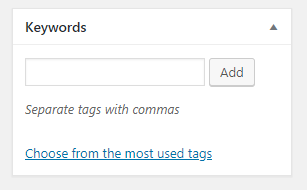 It allows you to add the keyword and the newly added keyword will be listed on the right-hand side of the page. You can assign the keyword to the individual trip post by going in individual trip post edit screen. The process of adding the Keyword and assigning them to the trips is same as you add the category and assign them. This is the sixth menu item that appears below All Trips icon. The Activities section under the Destinations section in the dashboard menu lets you add new activities to the list. It allows you to add the activities and the newly added activities will be listed on the right-hand side of the page. You can assign the activities to the individual trips post by going in individual trip post edit screen. It is added in the plugin so that you can add activities related to the trips. The process to add the activities is same as you add the category. With the latest release of the plugin, we have added the new feature where you can mark the available Itinerary and make it featured. To make the itinerary you have to simply click on the star icon in Featured column. The Booking section under the Activities section in the dashboard menu list all the bookings that are made from the front end booking section. The Admin will be able to edit/manage the content of each individual booking by going to individual booking. This is the sixth menu item that appears under WP Travel option. To enable the enquiry feature you have to enable this by going to Admin Panel > WP Travel > Settings > Misc. Options. The Enquiries section under the Booking section in the dashboard menu list all the enquiries that are made from the front end Trip Inquiry section. The Admin will be able to edit the content of each individual enquiry by going to individual enquiry edit screen. You can even manage the template of the enquiry from WP Travel > Settings > Emails > Enquiry Email Template. If you would want to add an extra piece of information for an individual pricing option then you can add the information through “Trip Extras“. Steps to add the Extras in the trips. 1: Go to Admin Panel > Trips > Trip Extras and add the extras. 2. After this go to individual Trips > Dates And Prices and add the pricing option. Here you see the option “Tour Extras“. Finally, select the extras that you have added from the “Trips Extras” menu. The blue tick means the extras is added to this pricing. What’s interesting is, with the pro version of Trips Extras you can even add the price. Reports include the description of the section that includes the graphical representation of the data like Payment, Bookings of the available trips. For more detail information please refer below-listed points. The graph here will represent the booking made on different dates. Here you can view the booking chart by filtering according to the Country, itinerary and Dates interval. The graph here will represent the payment made for various booking on different dates. You can even filter the payment according to date interval, country and Trips. With the release of version 1.2.0, the stat section has added the feature to compare booking made on different dates. After the activation of the WP Travel Plugin, Four different widgets will be listed in Appearance > Widget area. WP Travel Search is the widget which you can place in any widget area. 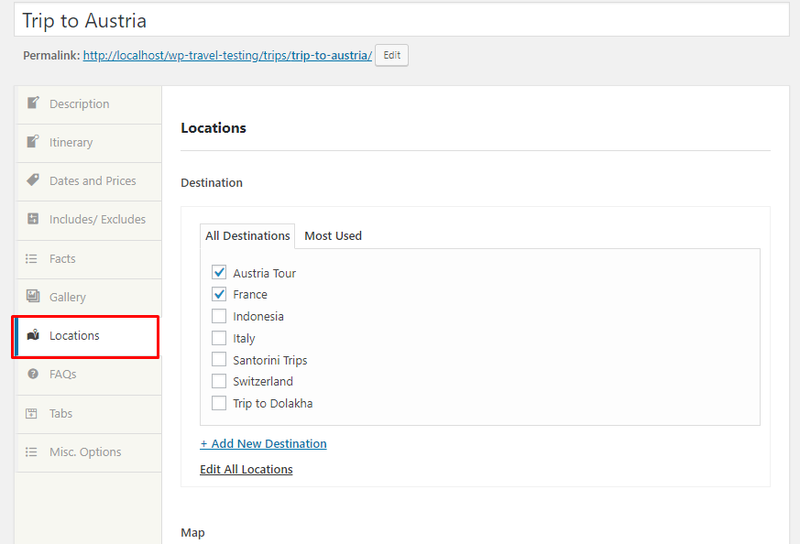 With WP Travel Search you will be able to search itineraries. Title: This option allows you to change the title of the widget section. After placing the required widget you will see the search section as given below at the frontend. Search: Enter the keyword to search your requires itinerary. Trip Type: Select the trip type that you want to search. Location: Select the locations that you want to search. All the locations and trip type that is entered through plugin section will be listed in the drop-down. Note: If the location mismatch with the trip Type or any miscombination will lead to 404 page. For eg: If you have the trip type: Wildlife safari and location: Africa but you search as Trip Type: Wildlife safari and location: Asia, it will lead you to 404 page. WP Travel Featured Type is the widget which comes with the latest release of the WP travel plugin. This widget will list the trip type that is marked as featured on the backend. You can place this widget in any widget area of the theme. Title: This option allows you to change the title of the widget. No. of trip to show: With this option, you can manage to display the no of the featured trip at the frontend. View Mode: This option allows you to change the view mode i.e either Grid view / List view. Hide title: This allows you to enable/disable the title of the widget. WP travel trips by location is the widget which comes with the latest release of the WP travel plugin. This widget will list the trip type by location. You can place this widget in any widget area of the theme. Select Location: With this option, you will be able to display the trips according to the locations. WP travel trips by type is the widget which comes with the latest release of the WP travel plugin. This widget will list the trip type by its type. You can place this widget in any widget area of the theme. Select Trip Type: With this option, you will be able to display the trips according to the trip type. WP Travel sales widget is the widget which comes with the latest release of the WP travel plugin (version 1.2.0). This widget will list the trips that is with the sale price. You can place this widget in any widget area of the theme. No. of trip to show: With this option, you can manage to display the no of trip with sales feature at the frontend. WP Travel Filter widget is the widget which comes with the latest release of the WP travel plugin (version 1.2.1). This widget will help to filter the trips according to trips, locations etc. You can place this widget in any widget area of the theme. Enable Filters: Under this option, you will find the list of option according to which you can filter the trips. Keyword Search: Enabling this option lets you filter the trips according to the keyword entered. Trips Type Filter: Enabling this option lets you filter the trips according to the trips type entered. Trip Location Filter: Enabling this option lets you filter the trips according to the trip’s location entered. Price Orderby Filter: Enabling this option lets you filter the trips according to the price order. Price Range Filter: Enabling this option lets you filter the trips according to the price range. Trips Dates Filter: Enabling this option lets you filter the trips according to the Trips date. With the release of version 1.2.1 of WP Travel, we have added a new widget area i.e. Archive page widget area. This widget area appears in the trips listing page. You can add the widget of your choice in this widget area. Note: If the location mismatch with the trip Type or any mis combination will lead to 404 page. Enable Filters: Under this option you will find the list of option according to which you can filter the trips. Trip Facts: Enabling this option lets you filter the trips according to the facts entered. This is the special feature of WP Travel plugin that is added to the latest release of the plugin. Note: The maximum no of itineraries that a plugin can display by default is 20. But you can show more no of trips by passing the limit parameter. You can add the Shortcode either in page/ post. With the addition of the shortcode, you will be able to view the Itinerary’s in page/post, depending on where you have to use the shortcode. There is two special feature that you can manage using Shortcode. Limit the no of the itinerary to display. Display the itinerary according to the type. Using shortcode you can limit the no of the itinerary to display at the front end. Using this Shortcode you can limit the no. of the itinerary to 1 i.e you will be able to display only one itinerary at the front end. Note: The default value of the limit is set to 20. Basically, there are 3 different types according to which you can display the itinerary. If you include the featured type in shortcode all the itinerary that is marked as featured is displayed at the front end. If you include the itinerary_types in the shortcode , you have had to enter the id or the slug of trip Type. Only then the itinerary associated with that trip type will be displayed at the front end. If you include the travel_locations in the shortcode , you have had to enter the id or the slug of Locations. Only then the itinerary associated with that location will be displayed at the front end. Note: Not just ID but you can control the display using the Slug attribute. i.e in place of ID, you can place “slug=” name for itinerary_types and travel_locations. Display single Trips on post/page. If you want to display single trips only using the shortcode then you can do so by using the id of the trips. This shortcode will display the trip with id “8852” only. Filter widget shortcode is an amazing feature that is released with the version 1.2.1 . You can add shortcode inpage, posts or text widget. This shortcode will list all the filters that are available in the plugins. Further, there are altogether six types by which you can display the filter section using the shortcode. If you want to filter the trips according to keyword then add below given Shortcode. If you want to filter the trips according to facts then add below given Shortcode. If you want to filter the trips according to the trip type then add below given Shortcode. If you want to filter the trips according to the trip locations then add below given Shortcode. If you want to filter the trips according to the Price Orderby then add below given Shortcode. If you want to filter the trips according to the Price Range then add below given Shortcode. If you want to filter the trips according to the Trip Dates then add below given Shortcode. If you wish to display more than two filters using the shortcode then you add the filter by adding a comma. Enquiry details can be organized more conveniently with the help of shortcode with the recent release of “WP Travel Version 1.8.0”. The plugin WP Travel is made translation ready for the release of version 1.0.3. Here is the list of steps that you need to follow for the translation. In your plugin file you can find the .pot file in wp-travel > i18n > languages >wp-travel.pot . Using this file you can translate to any language you want. Find strings to translate from the list and provide translation string in Translation Box. Place the .po and .mo file generated by the software inside wp-content > language by creating the folder naming it wp-travel. Note: You need to add the prefix wp-travel in .mo file. For Nepali translation, rename .mo file that is generated from the Poedit software to “wp-travel-ne_NP.mo“. Finally, in your Admin Dashboard > Settings > General > languages, make sure the desired language is chosen and save your settings. There are multiple of setting collected from feedback by multiple users and some of them are already implemented in the plugin which will help to customize plugin for users easily and some of them are listed in the documentation. How to change the layout of trips like in version 1.0.1 and earlier? Hover or click on the Trips Menu from the dashboard, you will see the Listing as of the below Image. Click on Setting link. Once you are in setting page of Trips you will see the vertical tab listing which includes Tabs click on it to move ahead to the Global Tab Setting Section. You will find 4 column ( Sorting, Global Trip Title, Custom Trip Title and Display ). You can arrange your Tabs for all single Itinerary from here. Just drag the desired label from the Sorting column which contains handler to place it upward or downward. The change made here will be implemented in Single Trip which will reduce your time if you want a consistency ordering of the Tabs displayed in the single trip page in Front End Section. These columns contain the title set by the Developer while developing the plugin. (eg if you like to change the Overview Trips to Overview ) to your entire Trip single page Backend as well as Front End head over to the Custom Trip Type and Replace it with the desired name that you want it for your Viewers. Note: If you only want to change the Label Of tabs for some of the Trips then Read this doc How to Arrange and Change Tabs on Single Trip. You can add your desired name here for the Trip Label that you want to change Globally for the entire site. Note: If you want that particular label that you have turned off on some of the Trips then you can set it in while adding new trip type which also consists the same kind of design as of the setting page. Note:Read this doc How to Arrange and Change Tabs on Single Trip. The layout styling of the trips has been changed in archive page for the recent version of the plugin. Here is the screenshot of the layouts before and after the release of the update. The latest plugin comes with the layout-2, the changes in the layout of trips in archive page has been included in the latest update of the plugin . Info : The template file (itinerary-item.php) for the layout styling is placed in the plugin in path wp-travel > templates > shortcode . You have to override this file through the theme to get the older version layout. Create the folder “wp-travel” in your theme file. Inside folder “wp-travel” then create the folder “templates” and within the folder templates create folder “shortcode”. Then create the layout template file ( itinerary-item.php) within the “shortcode” folder and paste below given code in itinerary-item.php file . Note: Path to maintain in theme file for template override. Theme file > wp-travel > templates > shortcode > itinerary-item.php. * This template can be overridden by copying it to yourtheme/wp-travel/shortcode/itinerary-item.php. * HOWEVER, on occasion wp-travel will need to update template files and you (the theme developer). After addition of the required file, add below given CSS in style.css file of the theme for the layout for older version . After the addition of the CSS , you have to add below given code in functions.php file. You can make the decision by looking into the screenshot mentioned above. WEN Solutions has always been known to provide valuable support and product documentation, We have a team of WordPress Developers always on standby to help our clients with anything and everything related to our products. We never rest until our clients are fully satisfied and their issues are solved. Not to mention that the support is free of cost and unlimited. We have also provided a very helpful documentation that covers almost everything related to how to create and manage author box. We also have a promising record of releasing frequent updates to make our products better and better with more features for you to enjoy and use. Our products never get old as every update makes it brand new and exciting. Keep in mind that when you delete wp-travel you will also delete all of its settings. If you only deactivate the plugin, its settings will remain and will not need to be entered again if the plugin is re-activated. Under this section, we will list the queries of wp travel plugin along with their answers. This section is specially created to answere the query that people frequently ask. To remove the vertical line form the itineraries displayed in trip outline tab use below given CSS. We have built the demo of the plugin using the travel log theme and all of the layout that is in the WP Travel plugin demo is from Travel log theme. So if you want your site to look like in the demo of WP Travel plugin then please use travel log theme. Here replace the id with the id of your trip. Note: Please paste the shortcode in Text mode of the of content editor. To adjust the formatting of the price you have to add below-given code in your child theme’s functions.php file. After activating the child theme, in your child theme functions.php file add below-given code from the documentation according to your WP Travel version. You can add your desired currency in the plugin using the filter provided by the plugin itself. For this, you need to activate the child theme and after the activation of child theme add below-given code in your child theme’s functions.php file. If you want to change the display pattern of the price then please add below given code in your child theme functions.php file. You can change the text and placement of currency from the code provided above. If you would like to change the default country in the final booking form field you can add below given code in your child theme functions.php file. After creating the child theme in your child theme functions.php file add below given code. You need to change the value (data code) according to your countries default data code in above given code. 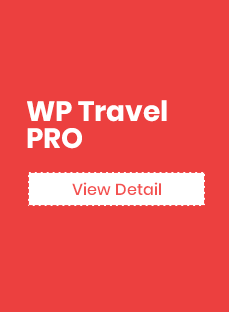 WP Travel plugin has been growing and has become this amazing product. Also, there has been no compromises in its growth and our development team has been working hard to get new features with each update. As a result with the version (1.7.6) we have come up with the exciting feature of cloning the existing trip. This feature will reduce the effort of creating new trips each time especially with the similar kind of data. Cloning the trips will copy each and every data from the trips from which it has been cloned.